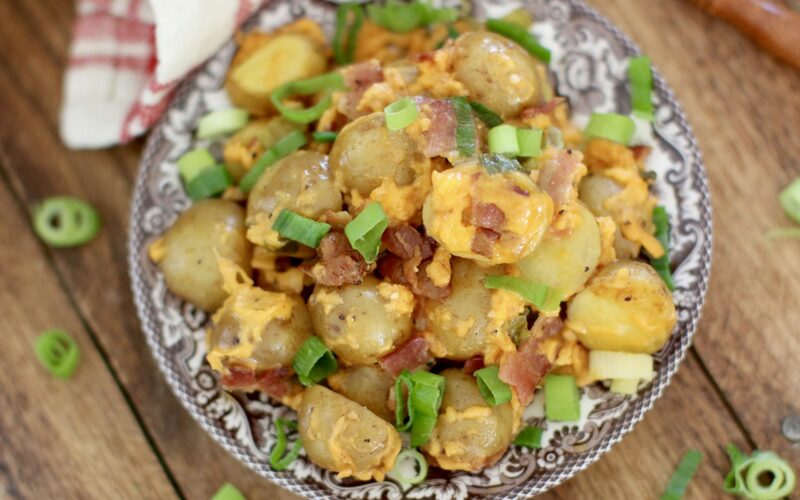 Creamy Little potatoes cooked in your slow cooker with all the most delicious toppings! Line a six-quart slow cooker with foil and spray with no-stick cooking spray. Add half the potatoes, cheese, garlic, cooked bacon, green onions, and paprika. Season with salt and pepper. Repeat. Fold in sides of aluminum foil around potatoes. Cover and cook on low until potatoes are tender, 2 to 3 hours. Serve with a drizzle of sour cream.